While pre-teens are learning to entertain themselves, they still need a little help, especially when travel is involved. Whether it’s hours in the car or on a plane, the monotony of staying stationary can begin to drive kids crazy. With the 8 best travel toys and games for pre-teens on Amazon, you’re able to help your kid(s) stay a bit more engaged and a little less bored. No matter where you’re headed or how long it takes to get there, these products will quickly become irreplaceable essentials for any trip! This creative twist on traditional dice game makes the hours fly by! Kids will love it and adults won’t mind either, as it’s fun for the whole family. Winning Moves Games Pass the Pigs comes in a conveniently compact case, allowing it to be easily taken on-the-go. The colorful images and charming molded game pieces capture the imagination and interest of younger pre-teens, while the strategy required will keep older kids engaged. It’s a great addition to any family trip! While kids are apt to outgrow stuffed animals at some point, different rules apply to travel. Pillow Pets Pee Wees are both stuffed animal and pillow, allowing them to function as toy, comfort, and head support for long trips. The multi-functional design allows valuable space to be saved, while the incredibly soft fur makes for a great travel buddy. As an added bonus, they’re all super cute. There’s no road trip game more classic than the Asmodee Spot It! On the Road Game. The set comes with 55 cards and can be played with 2 to 8 players, allowing it to expand as your friend group and family expands. Each card has a symbol of something you would typically see on a road trip, providing hours of entertainment and fun. It’s fast-paced and requires high amounts of focus, making it perfect for on-the-road distraction. Regal Games Original Travel Bingo is an adventurous twist on an age-old classic. 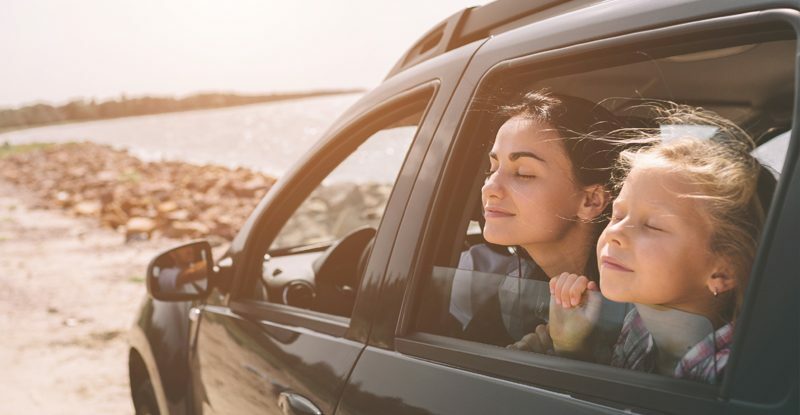 With no little pieces or messy ink that is typically associated with games of Bingo, this game is perfect for road trips with kids. Simply spot something from your card and slide the shuttered window closed, then the first one to five in a row wins! The boards are extremely durable, so you can plan on hours of fun for years to come. For the youthful artists in your life, travel can be challenging. Crayons break, markers stain, and paint is simply a no-go. With the AquaDoodle Travel Doodle, those difficulties go out the window. This drawing pad is made of durable materials and includes a soft outer shell and carrying handle that makes it incredibly portable. Simply add water to the included pen and relax as your kids doodle the drive away! If you were ever a child, you’ll recognize this terrific travel toy. The Cube from aGreatLife probably sparks memories of endless hours spent fiddling trying to get those dang colors to align just right. This cube is a much-improved version of that toy of old, though. It’s easier to rotate, high quality, and even incorporates a cool technological trick–you can scan your cube using the Cube Solver app for on-the-fly guidance! Hours of laughter and entertainment don’t come at much more of a bargain than this. The Super Silly Mad Libs Junior takes the goofy word game we all know and love and makes it perfect for younger participants. With pages upon pages to fill with ridiculous scenarios and even more outlandish humor, this road trip essential is sure to keep parents and pre-teens alike giggling the miles away. For the slightly older pre-teen artist, the Crayola Create ‘n Carry is the perfect portable art kit. It includes everything needed to make art, from paper to pencils. In fact, it comes with over 75 pieces to get the imagination flowing from mind to paper! The handy carrying case also functions as a lap desk, making creation on-the-go easier than ever. If the peace and quiet weren’t enough, parents can rest easy knowing that everything in the kit is AP Certified nontoxic!